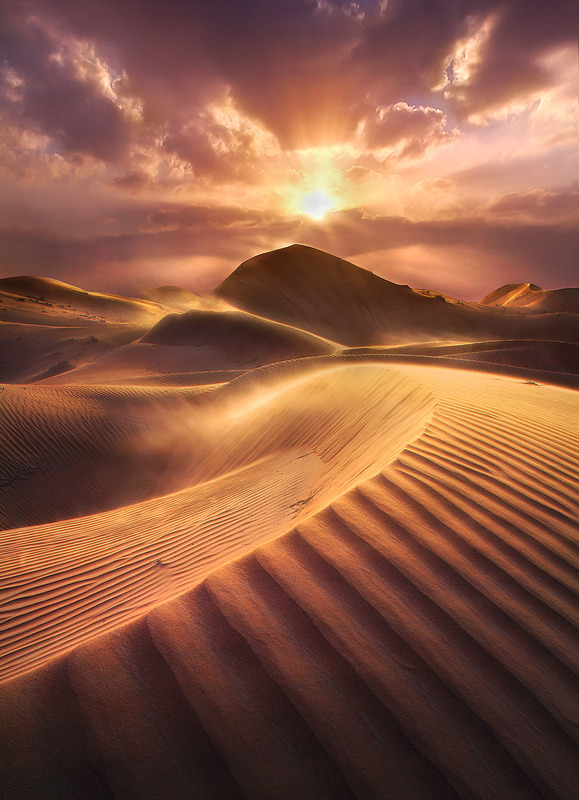 A windy sunset on the dunes looking towards light beams and vibrant skies. Taken near Dubai, United Arab Emirates. Photo © copyright by Marc Adamus.